Recently I have been reminiscing quite a lot about high tea (totally normal for me to be dreaming about food) as I have visited the Langham High Tea twice in my 23 years of life and successfully consumed as much dessert into my belly as physically possible. Last year, my best friend and I surprised my other two best girlfriends with an unlimited high tea, and one of my favourite desserts with endless supply was scones. We must’ve asked the waiter at least 5 times to kindly replenish our beautiful three-tier dessert tray with more scones (with jam and cream of course) and this is my inspiration behind this latest clean treats creation. 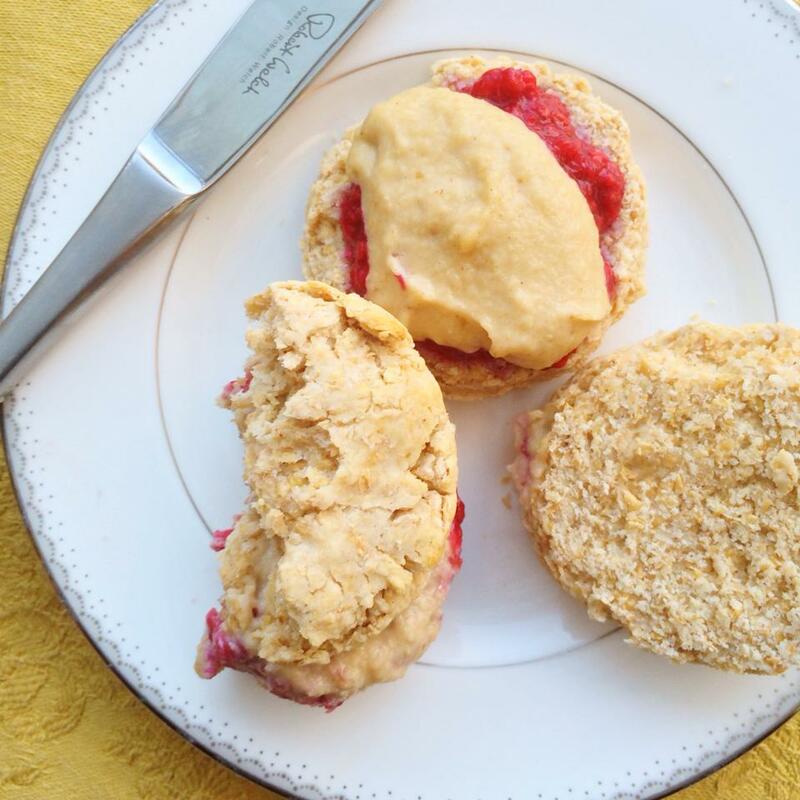 Soft, sweet and indulgently delicious, these clean scones definitely do the trick whether you want to sneakily eat one with your coffee or invite your gal pals over for brunch. The home-made raspberry jam topped with the gorgeous coconut cream is a beautiful combination and can all be created in the privacy of your lovely kitchen. No high teas needed – your tummy will thank you for it. Enjoy! In a large mixing bowl, add flour, baking powder and cinnamon and mix lightly. 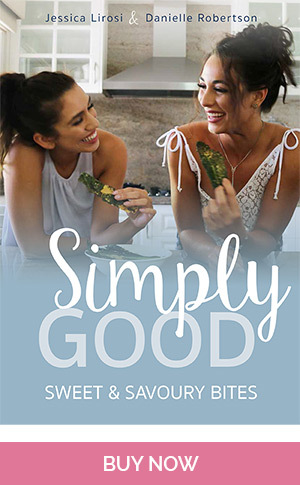 Melt the coconut oil to room temperature (do not melt completely) and rub through flour with your hands thoroughly until the mixture becomes crumbly. 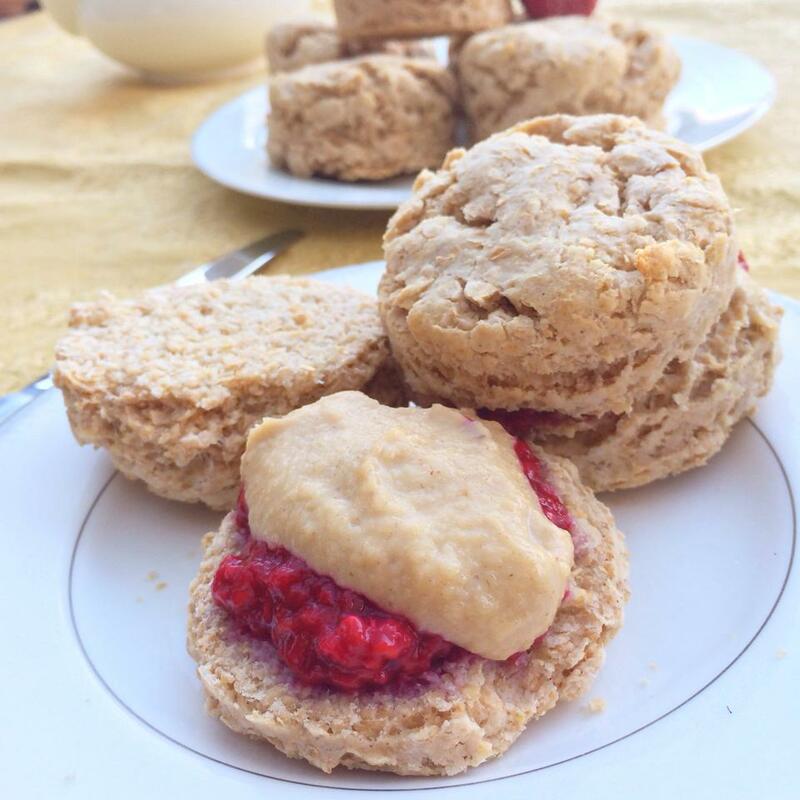 Using a sharp round pastry cutter or a knife, cut into the dough and pop each individual scone onto the baking tray. Pop in the oven for 12 minutes and let cool. Before you begin to make the jam you may soak the cashews in hot water to get ready to make the coconut cream. In a small pot on low heat, add all ingredients and stir through slowly. You may also let simmer for 5 – 10 minutes. 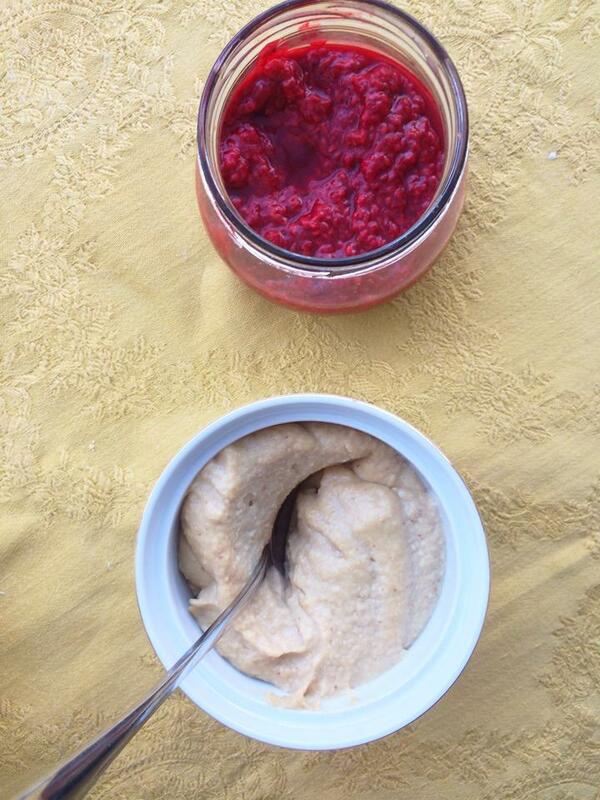 When the raspberries have cooked and jam is hot, turn of the heat and let sit for 5 minutes. If the jam is not thick enough you can drain the excess liquid out slowly and then place in a jar while you prepare the cream. Add all ingredients in a blender and blend until a creamy texture is formed. If cashews are not completely blended, keep adding small amounts of water. 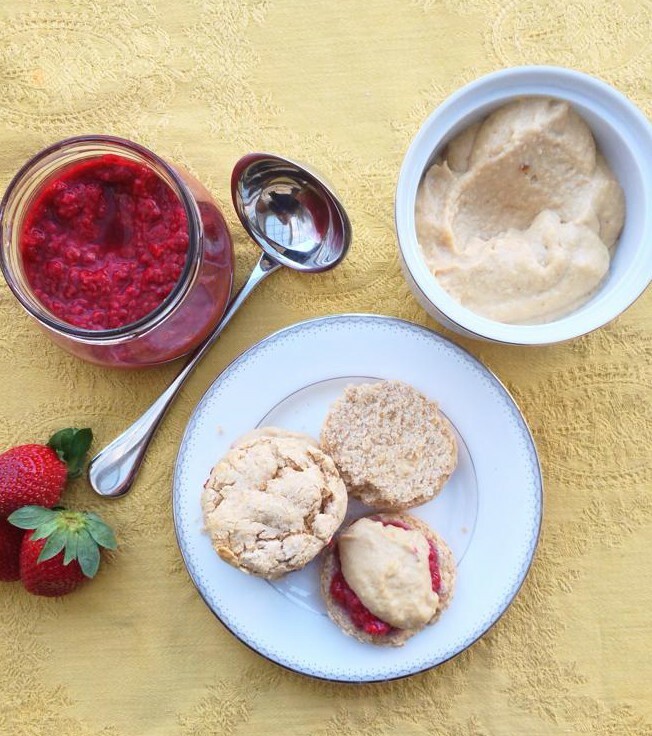 Place cream in small ramekin and then you’re ready to serve your yummy scones! So so good.. mmm… enjoy!